Guinness has dropped a number of rugby sponsorship adverts in Ireland after complaints that they could cause “offence or confusion” to immigrants. Guinness announced it would remove the adverts, which were placed around Dublin ahead of Ireland’s rugby match against England, following outcry from the Immigrant Council of Europe, which complained that the campaign “doesn’t celebrate the strength of the Irish team (& wider society) or the huge benefit our diversity brings”. Commenting that “Irish society is richer in its diversity,” chief executive of the taxpayer-funded NGO, Brian Killoran, added the slogan seemed like “a misstep in Guinness’ advertising”. A spokesman for drinks company Diageo, which owns Guinness, said the campaign “was meant to show the competitive nature of the Guinness Six Nations”, and that the company “regret if the billboard caused offence or confusion”. Asserting that “diversity and inclusion are core values of our business”, and pointing to its partnership with the Immigrant Council of Ireland on so-called ‘diversity programmes’, the spokesman added that Diageo was grateful for the feedback. “We believe their point is a strong one and we will swap out the advertising for other copy next week,” the company said. 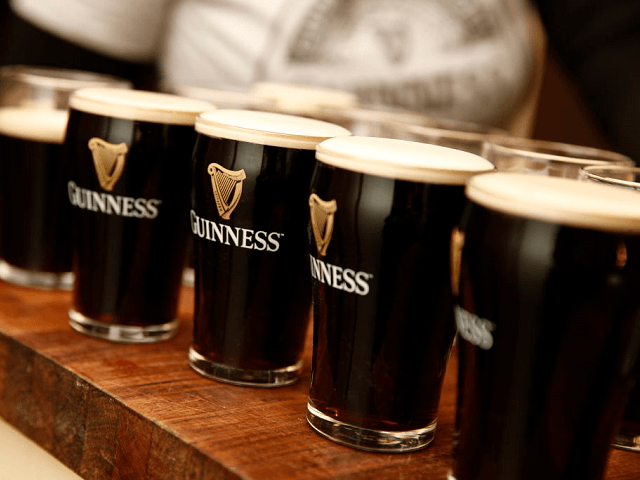 Guinness, whose world-famous product originated in a Dublin brewery in 1759, was hailed by the United Nations’ (UN) refugee agency last year for its work employing and holding training programmes for asylum seekers at its iconic Storehouse headquarters in the Irish capital. The managing director of the Guinness Storehouse, Paul Carty, was highly supportive of rule changes allowing asylum seekers to work, telling local media last March that staffing was “going to be the biggest challenge” for the hospitality sector in the coming years.